The central bank’s governor is still saying that rates will stay low, although he abandoned his old metric for telling when to hike. Using fuzzier indicators like output gaps may spare Carney blushes. But if inflation picks up along with GDP, rate rises will be hard to avoid. 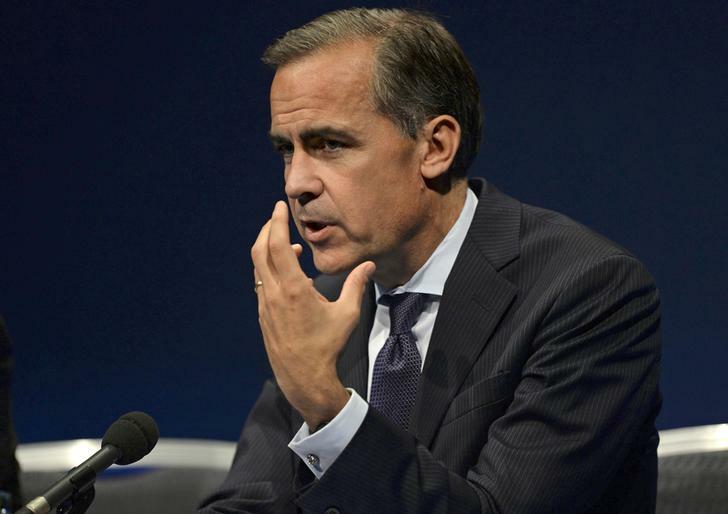 Bank of England governor Mark Carney gestures during a news conference after addressing business leaders in Nottingham, central England August 28, 2013. The Bank of England may pump more money into Britain's economy if financial markets get ahead of themselves and threaten to choke off its recovery, its governor said on Wednesday. The UK policy interest rate may need to remain “at low levels for some time to come,” the Bank of England said on Feb. 12. The BoE increased its forecast for UK GDP growth in 2014 from 2.8 percent to 3.4 percent. However, it cautioned that growth had not been accompanied by a pickup in productivity, which had helped unemployment rates fall much faster than expected. The unemployment rate was 7.1 percent in the three months to November. In August, the BoE said it would consider raising interest rates if unemployment touched 7 percent. Mark Carney, BoE governor, said he expected growth to be helped by reduced uncertainty, easier credit conditions and stimulative monetary policy. Productivity would not reach its pre-crisis trend for three years, he added. The BoE expects consumer price inflation to stay at, or a little below, 2 percent for the next few years. Interest rate rises would be gradual, and to a level “materially below” the pre-crisis average of 5 percent, it said. Sterling was at a two-week high of $1.6565, up about 0.7 percent on the day, in afternoon trading in London. The first paragraph of this item has been corrected to read “hikes” not “cuts”.